Talent: Stand-up comedy, acting, and going loco. How long have you been doing stand up comedy? Well it’s relative. Though I’ve always enjoyed making people laugh I wouldn’t claim to have been cracking comprehensive jokes in form of stand up comedy since birth, as musicians would claim to have been singing from the womb. But I’ve been a compère and a Master of Ceremony since my secondary school days in Federal Government Boys College, Apo boys, as we were called. Officially I began stand up comedy in the University (University of Abuja) where I anchored a lot of programs then realized humor was something I could greatly explore. And solo artistry is one of its basic forms so I guess it just stuck on me. Aside comedy I also act and it was through that medium (acting) that I also realized that this “mumuing” don dey blood since. What inspired you to do the Resurrection Laughter show? Hmmm! Resurrection Laughter, as the name implies, signifies the rejuvenation of joy, of excitement, and fun. It’s a pet project of mine under the Catholic Youth Organization of Nigeria (CYON) in the Pro-Cathedral Abuja. It’s all about fun and joy that entertainment brings. The event is scheduled to take place every Easter, and, just as Easter signifies Christ’s Resurrection, we also want to use the opportunity to bring back joy through humor. Nigerian stand-up comedy has seen a decline of sorts, do you think the new generation of comics can bring it back? Well I wouldn’t say stand-up comedy is on a decline, I’d rather say it isn’t greatly appreciated as a form of art that can stand the test of time in Nigeria, and perhaps Africa as a whole. A mistake that I hope we correct in time. Nigeria is full of great minds and talents ready to explode and this young generation is the major catalyst to ignite that flame. One reason we might note a decline is the fact that events of this nature aren’t so often organized in Abuja, and in the event that they are, it receives little or no patronage. This has always been the biggest challenge mostly in Abuja, but I sincerely hope and pray that given the caliber of talent the city has to offer, the status quo will change for the better. Resurrection Laughter is a name that has come to stay and we’re aiming to reinvent and reignite the comedy scene not just in Abuja and Nigeria, but Africa as a whole. Looking at the upcoming show itself, tell us a bit about the other young talent that will be performing. In one word – crazy! Resurrection Laughter will feature the hottest, sickest talents to grace any event. I’m talking of outstanding solo performers in comedy, breathtaking musical acts and spectacular dancers all performing on one stage! We’ve got mad comedians like: D2, Orolee, M.O.G, Washington, Mc Kogi, as well as my humble self Mc Bluetooth. Bursting the sound waves musically we have prolific acts like FO, Gullyryda, 6Foot+, Mac P, I-sick, Dj X on the wheels of steel and more. Amongst the earth benders, as I like to call dancers, we’ve got The Magic Steppers, Elevator and G-next. Believe me you’ll be amazed the energy these guys will be bringing on stage. Also to make an appearance are juggernauts in the Abuja entertainment scene. Big shots of comedy like Fred Bright, Onome Di Saint, Wahala, Stainless and a few other surprises. Not to be left out are other hot shot celebrities such as Willy-willy and Yaks Man of Wazobia fm. So its a fully loaded package. What is your most memorable moment on stage? All moments are memorable, but I can never forget events such as Warri Conneqshun with Otota Live & Naked, back then in the University of Abuja; also Fellows Night of the National Institute of Chartered Economist of Nigeria, where I was given recognition by the special guest of honor in his remarks – though I wouldn’t want to name drop. Lots and lots of memorable times. But one which always reminds me that “talent pays” is an end of year party and send forth of corps members held at a Federal ministry. I was given a standing ovation for my performance and the DG personally doubled my original commission for that event. It was inspiring. It’s great to see the Sickle Cell Aid Foundation (SCAF) involved with the show, what do you hope to achieve through that partnership? Normally I feel the best way to organize an event is to have a general theme every one can relate to, something that would have a positive impact on the environment. 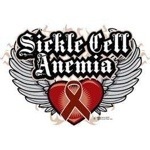 Sickle cell awareness is something that has been pushed to the sidelines when it comes to general health care and by partnering with SCAF, we hope to re-conscientize the public on genotype awareness and sickle cell anemia. One way SCAF will be doing this is by providing free genotype tests for all present at the event. So Resurrection Laughter is a bumper package of entertainment and health awareness. As time goes by we’ll be looking to infuse other areas where we can make our impact felt. Aside from SCAF, are there other partners or sponsors involved with the event? Of course there are. The Catholic Youth Organization of Nigeria (CYON) our Lady Queen of Nigeria is the umbrella body under whose social and entertainment programs Resurrection Laughter is a pet project. They are also providing the arena for the event. The red carpet coverage will be undertaken by Urban Reality TV, the graphic designer Justus Eselebor (@Justnation5) has done great work on the graphic materials. Hypnotics Sound has supported immensely in the area of sound production. Also, very importantly, Resurrection Laughter is the first comedy show to have it’s tickets and publicity materials sold and advertised on Nigeria’s top E-retailing company, Jumia. So people can visit Jumia Nigeria’s website to book tickets and find out more about the event. From that angle Jumia Nigeria has been a great partner. And not to be left out, you guys, A.R.T your contribution has been awesome as well. We’re still looking forward to having more individuals and corporations key into our brainchild. Nigerians love humour. We laugh at everything. At ourselves, our friends, our leaders. Sometimes with positive intents, other times not so. What do you think gives us such affinity to humour? Nigerians are peace loving people. I can beat my chest to say that, in creation, God gave us very large funny bones. Comedy and humor is our second nature. Our environment also contributes a great deal. With our different tribes, languages and ethnicity I’d say comedy was and is made for Nigerians. Whose your favourite comedian, whether home based or foreign? It’s hard to say, because I have so many favourites. But definitely a few instantly come to mind. For the foreign acts I’d say Rowan Atkinson aka Mr Bean. The guy cracks me up even in my sleep. He is a legend when it comes to facial expressions, and even in his solo performances he nails it every given time and with every audience. To me the guy is the Godfather of British comedy, be it stand up or pantomime. Then in the Nigerian comedy scene I’d say Bovi aka Akpos. That guy is from a species out of this world! His timing and delivery are awe. And his performances are so spontaneous. If I were Dr Frankenstein I would merge these two guys into one and plant them into my brain. (Laughs)Chai! Very tricky question. Make I no lie ehn, I’d rather have a genie offer me one wish, then I’ll use that one wish to wish for ten extra wishes and when I’m down to my last wish I’ll use it to wish for ten more. (He laughs mischievously.) For the super powers I’d say Superman, but without all that “kryptonite allergy palaver”. Super strength combined with super speed, the ability to fly, super hearing, x-ray vision, that’s just awesome. Now finally, this Bluetooth! Bluetooth! 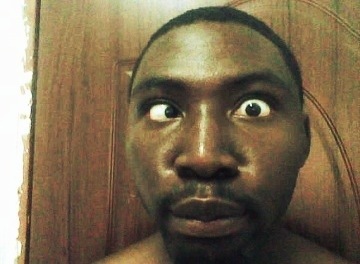 I dey look your mouth since I no see any bluetooth. (Laughing) People always ask this same question. It’s kind of a coincidence that a device is named after me (Sniggers. )Actually I realized that I always have had a way of connecting to the audience and taking advantage of the fact that I have very conspicuous dentition – although not blue oh – I realized its best to yab myself first and get it over with before some one scores a cheap joke on me. 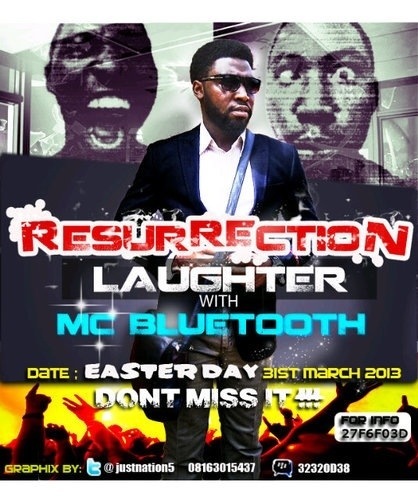 Find out details about the Resurrection Laughter show here. Visit Jumia Nigeria to book or purchase tickets. This entry was posted in Artist, Comedy, Event, Performance arts and tagged Abuja, Catholic, comedy, Easter, interview, Laughter, Nigeria, resurrection, stand up comedy, Youth by africanrenaissancetheatre. Bookmark the permalink. nice one Bluetooth, we re proud of you! Congratulations bro, I would love more than anything to be there but am currently out of town. Kudos, wish u success in ur endeavours. 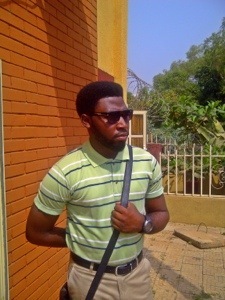 Awesome pet project mehn! Wow, that’s nice. Good luck to u. God will make all things well in Jesus name, Amen. Cool interview, this show promises to be tight!